Each resveratrol capsule contains 200mg of 100% pure resveratrol (trans-resveratrol, the active form). We guarantee 100% purity and quality. Our resveratrol is not diluted or mixed with any other ingredients like other sellers' products. Click here to buy resveratrol (trans-resveratrol, the biologically active form). What makes our products the best quality you can find? We use pure ingredients in our capsules, not mixed with less potent fillers. Our resveratrol is 200mg of pure resveratrol (trans-resveratrol, the high-quality, biologically active type) per capsule; the pectin is 800mg of 100% pure pectin, etc. Why do we have the best prices you can find? 2 reasons: 1. We rely on word-of-mouth advertising, which keeps our products inexpensive. Our satisfied customers help us build our business and maintain cheap prices. Many sellers spend tens of thousands of dollars (and more) annually on advertising, and they pass that cost on to you, the consumer. Basically, YOU, the customer, end up paying for all the glitz. 2. We oversee and monitor every step of the manufacturing process and then sell directly to our customers. There is no middleman increasing the price or collecting commission on your sale. This allows us to offer the lowest prices. We guarantee the potency, freshness, and quality of our products, and we stand behind them with a money-back guarantee. Resveratrol is a naturally-existing substance found in the skin of grapes and in the Japanese knotweed plant. It is a polyphenol of the class flavonoid, also referred to as an antioxidant. Longevity. Harvard Biochemist, Dr. David Sinclair, explains that resveratrol activates the "SIRT1 gene" which caused a 30% increase in lifespan in studies. Further, this 30% increase in longevity was accompanied by very good health and fitness due to resveratrol's ability to protect the clinical test subjects from cancer, arthritis, cholesterol, liver disease, and many other chronic illnesses normally brought on by old age. These positive effects are further increased by taking quercetin along with resveratrol, according to James Johnson, MD, author of the "Up Day Down Day Diet." Dr. Johnson explains that Quercetin also activates the SIRT1 gene (to a lesser degree than resveratrol). Quercetin helps the body to sustain a more constant blood level of resveratrol for a longer period of time, thus causing the SIRT1 gene to remain active for a longer period of time, enabling far better results from the resveratrol. Weight loss. Dr. Johnson also explains that when activated, the SIRT1 gene helps inhibit fat storage by blocking a gene known as PPAR-gamma, which allows fat to be deposited into fat cells. When this gene is turned off, excess fat calories are burned more quickly. Alzheimer's disease. Resveratrol promotes lower incidence of Alzheimer's disease in studies, according to the Journal of Biology and Chemistry, Volume 280, Issue 45, 37377-37382, November 11, 2005. Liver disease. Resveratrol protects against fatty liver and other liver diseases in studies, according to the International Journal of Biochemistry and Cell Biology (Int J Biochem Cell Biol. 2006;38(4):629-37. Epub 2005 Nov 28). Cancer. "Resveratrol is an antiproliferative agent for cancer by inducing apoptosis in cells with damaged DNA,...". Translated, this means that resveratrol prevented cancer from metastasizing because the resveratrol destroyed malignant cells in tests. "Resveratrol acts as an angiogenesis inhibitor". Definition: "Angiogenesis inhibitor," a mechanism that stops tumors from forming new blood vessels that feed malignancies. Resveratrol prevents prostate cancer in studies by inhibiting the expression and function of the androgen receptor at a molecular level. Resveratrol inhibited DNA synthesis (metastasizing) of prostate malignancies. Resveratrol prevents breast cancer in studies by inhibiting the expression and function of the estrogen receptor at the molecular level. Resveratrol inhibited DNA synthesis (metastasizing or spreading) of malignant breast cells. Leukemia. Resveratrol is an antileukemic which not only inhibits the growth of leukemia in studies, but also induces apoptosis (kills) in leukemia cells and prevents them from metastasizing. Arthritis and other autoimmune disorders. Resveratrol inhibits autoimmune disorders such as arthritis, diabetes, etc., in tests because it acts as an inhibitor of cell survival signal transduction. This means that resveratrol helps the immune system naturally neutralize molecules or cells responsible for causing autoimmune diseases. Heart disease, stroke. Resveratrol prevents cardiovascular disorders and atherosclerosis in studies by disabling the accumulation of cellular material upon arterial surfaces. Intestinal disorders. Resveratrol suppresses gastritis, peptic ulcer, and colorectal cancer in studies by preventing the proliferation of the helicobacter pylori (HP) bacterium in the intestinal tract. Skin disease. Resveratrol prevents MRSA, impetigo, folliculitis, boils, cellulites, and other skin diseases in studies by exterminating the Staphylococcus aureas and Streptococcus bacteria. STD gonorrhea. Resveratrol protects against gonorrhea in studies by destroying the neisseria bacteria, which also migrates to the blood, heart, joints, eyes, and oral mucosa. Fungus. Resveratrol eliminates fungus, because its classification as a stilbene phytoalexin allows it to directly destroy fungal cells. Bladder, kidney infection. Resveratrol prevents most bladder and some kidney infections by eradicating the Escherichia coli (e coli) bacteria from the urinary tract. Bone density. 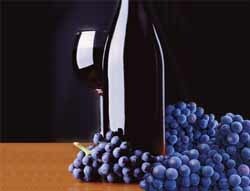 Resveratrol produces higher bone density and bone health in studies. Cataract and eye health. Resveratrol greatly reduces risk of cataract formation in studies. Diabetes. Resveratrol produces healthy glucose levels in studies. "Resveratrol in Health and Disease," 2006 American Association for Clinical Chemistry. Clinical Chemistry 52: 1630, 2006; 10.1373/clinchem.2005.063776 by Biochemist Bharat B. Aggarwal, Ph.D. (Chief Cancer Researcher at the University of Texas) and Shishir Shishodia, Ph.D. Biotechnology; bioimmunotherapy and experimental therapeutics for the University of Texas MD Anderson Cancer Center. Book pub. CRC Press, Taylor & Francis Group, 2006, 712 pp., hardcover. ISBN 0-8493-3371-7. National Institute on Aging (NIA), US Dept. of Health and Human Services, published Thursday, July 3, 2008. Mike Wallace interviews Dr. Christoph Westphal and Harvard Biochemist, Dr. David Sinclair, discuss how resveratrol may prevent and forestall many age-related diseases, prolonging healthy life, essentially "...putting death on hold." "We've passed a milestone where we can now make drugs based on this knowledge, and potentially slow down the aging process" states Dr. Sinclair. Dr, Jennifer Ashton discusses resveratrol's positive impact on heart disease, longevity, and its infection-fighting capabilities. Barbara Walters interviews Harvard Biochemist, Dr. David Sinclair. Dr. Sinclair states that resveratrol, which occurs naturally in the skin of red grapes, is also found in red wine. However, we would need to consume 1,000 bottles a day to achieve the same results obtained with a supplement. Dr. Sinclair explains that the anti-aging gene, SIRT1, is activated by resveratrol. He shows a demonstration with two mice, one treated with resveratrol and the other without. The resveratrol-treated mouse runs twice as far as untreated mouse. Additionally, the resveratrol-treated mice do not get cancer, heart disease, or osteoporosis, and they live 30% longer. Dianne Sawyer interviews Dr. Mehemet Oz, who believes that resveratrol, coupled with healthy lifestyle habits, can boost human lifespan to 150 healthy years, or more. He recommends that a resveratrol dose of 500mg daily. Moreley Safer interviews Dr. Morton Gronbaek, who conducted the "Copenhagen Heart Study," a 10-year study involving 13,000 people between the ages of 30 and 79, sponsored by the Ministry of Health. Dr. Gronbaek discusses wine [which contains resveratrol] and the fact that people who consume 1 to 3 glasses of red wine daily outlive those who do not. Click here to buy resveratrol (trans-resveratrol, the active form). For questions or assistance, email us at: pectin@ArborCounty.com, or contact us.